Do you want to start an online business but you have no skills, knowledge or experience? It can be done and if you stick with me I am going to show you the only training you need in my blog Online Business Classes: Entrepreneurs Made Here. This is hands down the best place on the internet to teach you everything you need to know to be successful. And better still you can try it for free and see if the training works for you. But enough of my ramblings lets get straight into it and I will show you what you can expect from each of the lessons and give you an understanding of how it starts building your online business immediately. The 10 free lessons form Level 1 Getting Started of the Online Entrepreneur Certification. It will walk you through the steps to creating an affiliate marketing website that will generate passive income. Plus you get access to 2 free websites so that you can put into practice what you are learning straight away and start building your business right from the word go. This is a part of the Free Starter Membership and if you are keen to check it out right away click the button below and you can get access to the lessons and start building your website immediately. The training is task based and as you do each one you tick it off and move forward to the next lesson and the next lot of tasks. There are extensive video walk-throughs of each task which make it super easy to follow. Plus you can stop and start the videos and watch them as many times as you need to get the job done. The training is intuitive so once you close out of the training and return at a later time it will take you straight to the lesson that still has task boxes to tick off so you don’t miss anything and don’t lose your place within the course content. This lesson explains the Wealthy Affiliate (WA) platform and how to get the most out of your free Starter membership plus how you will be building your online business. It really is a simple concept and with the step by step training you will have your first website up and running in minutes. You get a video walk-through of the program and how to easily navigate around the site so that you get the most out of it. It also explains the various sections of the community like live chat where you can get together with other members to ask your questions or just shoot the breeze. There are 3 basic tasks in Lesson 1 which gives you a feel for what’s to come. It is worth taking some time to consider your answers as they are so beneficial to setting yourself up to achieve them. If you don’t know where your going how will you know when you’ve arrived! This can be one of the most difficult decisions for some people and yet a walk in the park for others. I won’t elaborate too much on what a niche is here as it is all covered in the video below. But basically a niche is simply a group of people with a common interest and they will be your target audience. It is who your blog will be directed at and who you will be trying to help through your website. Also who you will be marketing the products too and who will become your customers. I strongly encourage you to choose a niche you have a passion for. In my case it was a no-brainer. 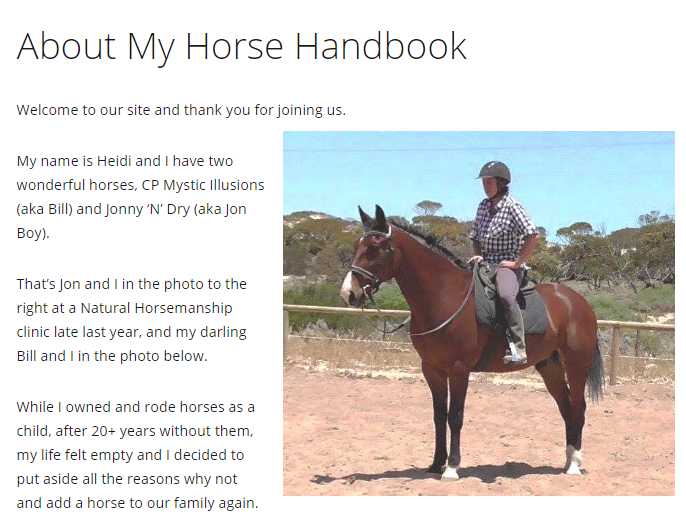 I have two horses of my own and I love to help other horse owners. So my niche became new horse owners. You might love growing organic veggies, or flying your drone on the weekend, or watching marathon episodes of Game of Thrones. These can all be profitable niches. Anyway enough of the chat, click on the video below and I’ll let Kyle explain it to you better than I can. It doesn’t take too long before your into the meat of it and creating your very own affiliate marketing website. Once again there is a walk through video you can watch first and also step by step instructions. It’s really a 4 step process with a few decision you need to make at this point. You don’t need to know coding or html or any of that confusing stuff. You simply choose your domain name and the title for your website, as well as a theme for how you want it to look, and press create. Don’t worry too much about the website title and theme at this stage, they can both be change at any time. You do need to make a good decision about your domain name though. Even though this is a free website at some point you may wish to buy your own domain name and it’s a good idea to keep it reasonably the same when you do. All the back end techy stuff is done for you and after a few minutes you have your WordPress website up and running ready for you to start blogging. I am not dumbing this down for you, it really is as simple as that. This is a super exciting time and a milestone to be celebrated. You have your own online business! Lesson 5 explains the WordPress dashboard which runs all the elements of your website. The lesson discusses various plug-ins you will need, how to install them and how to activate them. Don’t worry if at this point your don’t know what plug-ins and widgets are. That’s why you are doing the training and it will all be explained to you. Wealthy Affiliate make it really easy to navigate between the WA platform and your WordPress Dashboard with lots of simple interfaces that make life just easy. In this lesson you will become familiar with your WordPress Dashboard and the various things it can do. You will also delete any stock posts, pages and comments that came with your website theme so your site is ready for you to customise it within your own niche. This is a very important step and the start of your journey learning about Search Engine Optimisation (SEO). You will understand the importance of SEO more as you start building out your site and writing blogs for it. SEO is what sets your posts apart and gets them positioned high within the search engines. Everyone wants blogs that come up on that first page of Google when someone types in a search related to your site. How many times have you scrolled down to page 10 looking for the right blog to answer your search term? Probably never as most people find what they want on the first page and that’s where you need your blogs to be also. By setting up the back end of your website properly you increase your chance of this happening. It’s that important! Many people without the correct training miss so many tasks associated with SEO that they really have no hope of ever being found by Google let alone ranking high. Don’t be concerned about how you do this, once again there is a step by step video walk through and as with all the training you can go back and watch it as many times as you need to understand the lesson. 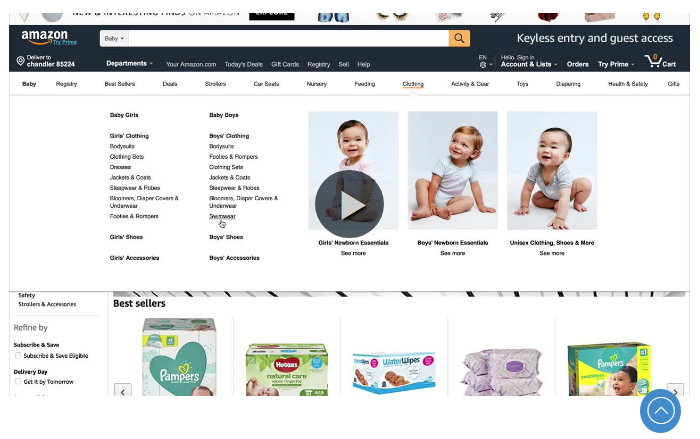 I found by watching the videos straight through once and then starting the task, I would then go back and re-watch the video stopping and starting it as I did each task associated with setting up your All In One SEO plug-in. There are lots of images within this lesson also so you can visually see what your All In One SEO plugin should look like once you’ve finished setting it up. There is also good advice about not upgrading the plug-in which is not necessary and will save you money. And now the fun really begins, time to write your very first blog! Wealthy Affiliate introduce you to their proprietary platform called Site Content where you can write all your blogs. It’s simple to use, pretty much just like writing in Word or Google Docs and you can publish your blog right from within Site Content. Now at this point some people will worry that they are not writers. Don’t be concerned, if you can talk you can blog, it’s as simple as that. Your blogs should be written exactly as you would speak to another person about the topic. You don’t need fancy words or poetic prose. You just need to be genuine and helpful. Site Content has a spelling and grammar checker so you don’t need to worry if you think you might need some help in those areas. Plus within Site Content you get access to over 1 million stock images to use within your blogs all for free. These images are free to use and have no copyright attached to them so you know you are not breaking any rules by using them. You can also upload your own photos all with a few clicks of the mouse. In this lesson your will create your About Me page to get you started and ease you into using Site Content and getting the hang of writing blogs. It’s all very structured so you don’t become overwhelmed and can work through at your own pace. Below is a screenshot of my About Me page on my niche site. I have a second website dedicated to educating new horse owners, and yes that is me on my horse. If you click on the image you will be taken directly to my other site and can check out what you will be working towards and building with your online business if you like. You will also create your Privacy Page, which is as simple as adding your website details into a ready made template which is provided for you. Things like this template make it so easy to get things completed and done the right way. 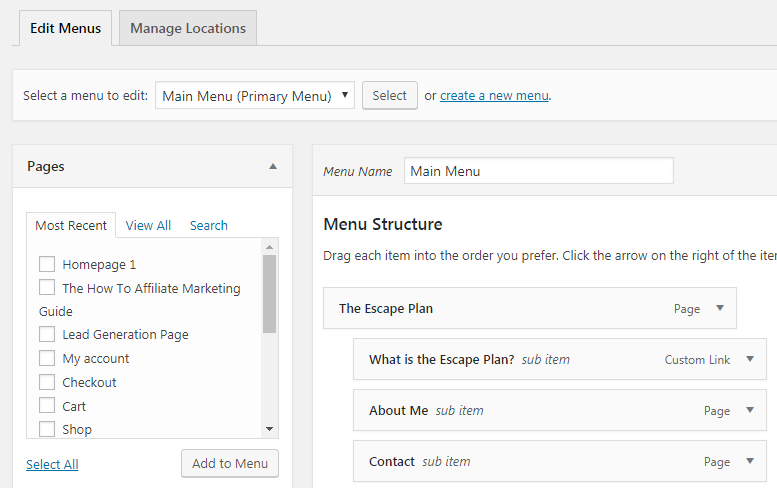 Lesson 8 has you building menus and showing you how to add pages and posts to your website. Good navigation is important to keep people on your website longer. They are not going to stay and read more of your articles if they can’t easily find them. 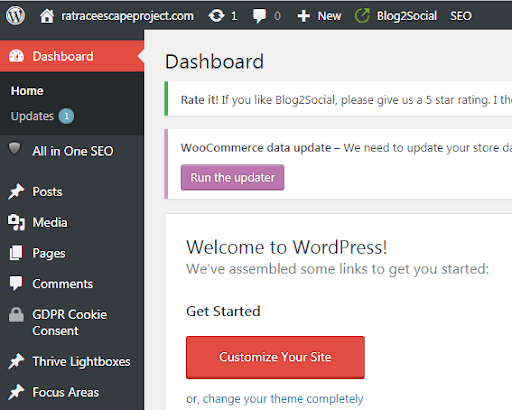 Once again you will be learning how to use the all important WordPress Dashboard. This really is the powerhouse of your website and where all the layout and functional stuff goes on for your websites. You will learn how to set out your website so it flows logically and looks how you want it too. The image below shows part of the menu structure for this website. You will learn how to add pages and posts and get them to position where you want them in your menu and on your site. ​As part of your Wealthy Affiliate membership you also get access to Live Chat where you can get clarification on any issues from other members or just ask questions if you are not sure of any aspect of the training. There are thousands of members who have all done the training and there is bound to be someone in there who can help you. If you check out the free lessons through my link which I will put at the bottom you also get me as your Coach & Mentor. I have also been through all the training and more and you can ask me questions at anytime. I’d love to be able to help you get started in your own online business. We have a saying in the biz “Content is King” which you will hear often as you progress in your business. Basically it means you need to write lots of blogs but they need to contain the right ingredients, as I said above, so they rank in the search engines. One of the most crucial tasks to understand is keywords. This lesson gives you all the info on how to choose keywords for your blogs and how to use them once you have them. WA also provides a free tool called Jaaxy which you can use to find your keywords. I have done a whole review of this keyword tool which you can check out if you want more information - Jaaxy Keyword Tool In Review. But at the moment you just need to know that you will have access to Jaaxy for free and this lesson teaches you how to use it and how to choose great keywords. In this lesson you will be putting it into practice and searching for applicable keywords for your site so you are ready to start blogging the right way. We all want to make money right? Without great quality keywords your site will not make money and you will pretty much be blogging to yourself because no-one else will see your blogs without them. So you see this lesson is so important to your success. You made it! At this point you have your free website set up with all the basics up and running, ready for you to add blogs and move forward with growing your online business and making money. If you doubt that there is amazing money to be made blogging then check out my recent article featuring the Top 10 Bloggers in the World. How does $50k or maybe more than $200k A MONTH sound to you? I know if I was making $200k a year I'd be a happy chappy. You will have also had the opportunity to have a good look around the WA platform and see some of what it has to offer. You should now have enough information and experience to decide whether this is the place you want to use to continue building your affiliate marketing business and start making money online. 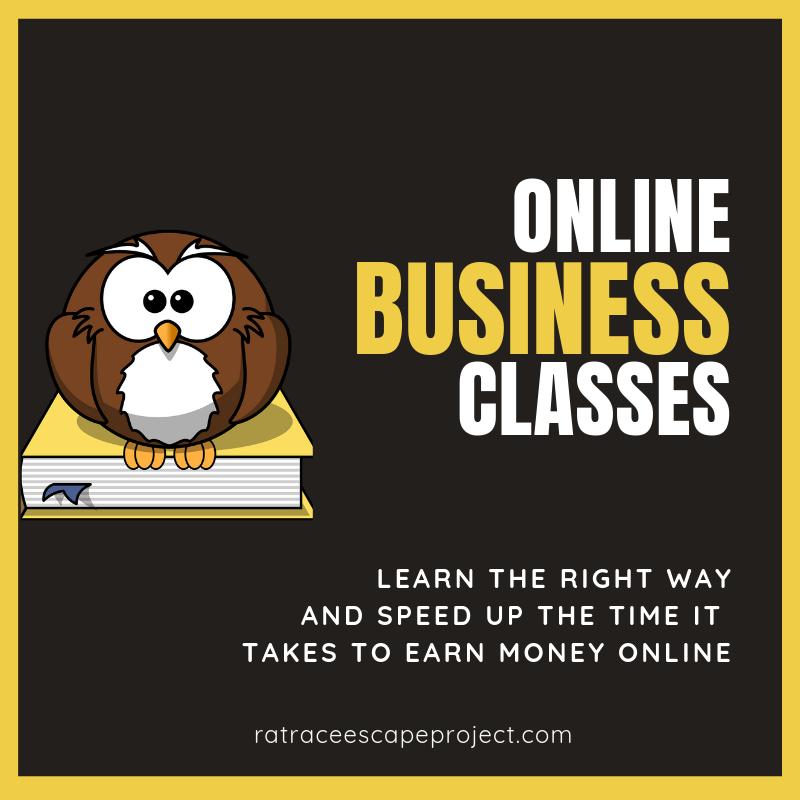 If you are serious about starting your online business you need to check out this free training and see if it is right for you. Honestly there are no strings attached and I think you will find it as beneficial as I have. As I said as an added bonus you get me as your Mentor and Coach. 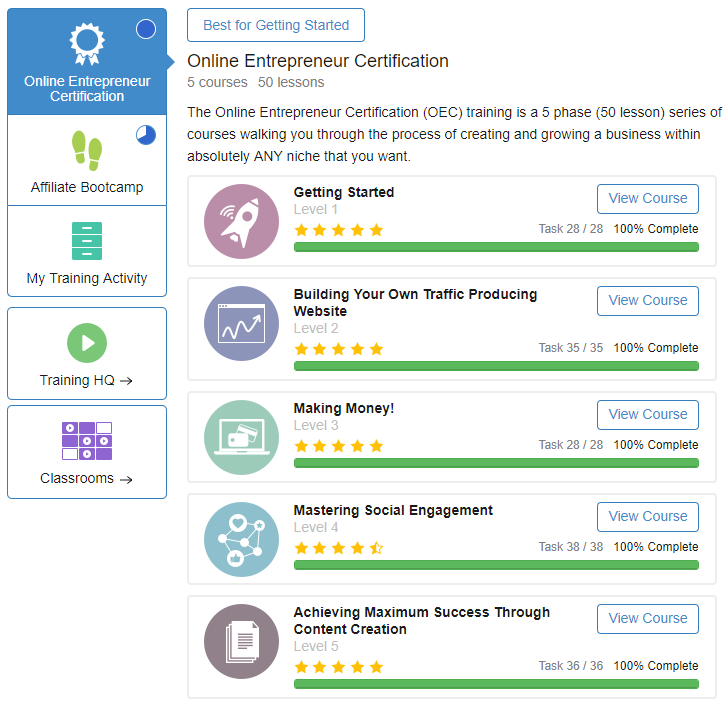 I have completed every level of the Online Certification and I can help you through any hiccups as you proceed through the training and grow your business. You can start building your free website and learning what it takes to be successful right now. Just click on the button above and I’ll see you inside WA. It is my mission to help as many people as possible get where they want to be in life and business. We all deserve to be happy and fulfilled and I want to help you get that too. If you have questions please pop them in the comment box below, I'd love to help you out. Previous Post Meet the Top 10 Bloggers [World Class Marketers Plus What You Can Learn] Next Post Too Damn Easy – Scam or Legit Money Maker?